It's that time of year where it seems like everyone is motivated at the moment and making their New Years resolution...problem with that is only 8% of the people actually attain their goal. Don't be among those who will fail. “Motivation is what gets you started....Habit is what keeps you going." The Coaches at SBG Niagara understand this. 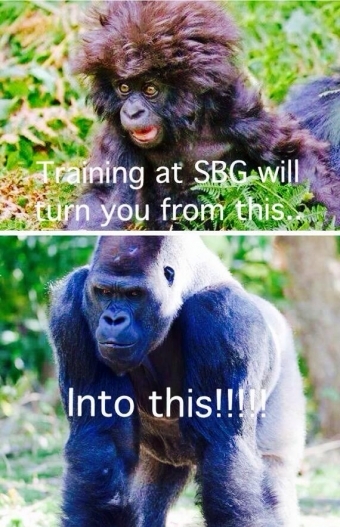 Join the Martial Arts and Fitness programs at SBG Niagara, and let our qualified, professional Coaches help you attain your goals. We are experts in our field, and quite simply, we are the best in motivating people and teaching them how to develop good workout habits that will last a lifetime. Straight Blast Gym of Niagara provides a fun, challenging and safe training environment for people of all ages to be successful at achieving their martial art and fitness goals. Just fill out the form on the right side of this page or call us at 905.329.KICK(5425) to get yourself started on your way to achieving your goals!